2018 will be the European Year of Cultural Heritage. Sign up for emails updates to be the first to know what's in store. The cultural heritage of the European Union is a rich and diverse mosaic of cultural and creative expressions, our inheritance from previous generations of Europeans and our legacy for those to come. It includes natural, built and archaeological sites, museums; monuments, artworks; historic cities; literary, musical, and audiovisual works, and the knowledge, practices and traditions of European citizens. Cultural heritage enriches the individual lives of citizens, is a driving force for the cultural and creative sectors, and plays a role in creating and enhancing Europe's social capital. It is also an important resource for economic growth, employment and social cohesion, offering the potential to revitalise urban and rural areas and promote sustainable tourism. While policy in this area is primarily the responsibility of Member States, regional and local authorities, the EU is committed to safeguarding and enhancing Europe's cultural heritage through a number of policies and programmes. What is the Commission's Role? The Commission's role is based on Article 3.3 of the Lisbon Treaty which states: “The Union shall respect its rich cultural and linguistic diversity, and [...] ensure that Europe’s cultural heritage is safeguarded and enhanced”. The Treaty on the Functioning of the European Union gives the Commission the specific tasks of contributing to the flowering of culture in the Member States, while respecting their diversity, and bringing "the common cultural heritage to the fore" (art. 167 TFEU). The European Union's role is, therefore, to assist and complement the actions of the Member States in preserving and promoting Europe's cultural heritage. The Commission has developed a number of relevant policies and programmes, and also supports and promotes policy collaboration between Member States and heritage stakeholders. 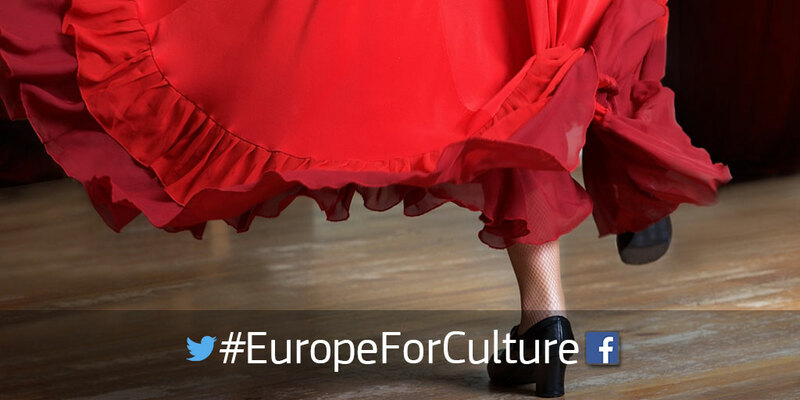 European cultural heritage benefits from a range of EU policies, programmes and funding. In 2007-13, €3.2 billion was invested in heritage from the European Regional Development Fund; a further €1.2 billion on rural heritage from the European Agricultural Fund for Rural Development, and around €100 million worth of heritage research was funded from the 7th Framework Programme. There are three EU actions specifically dedicated to cultural heritage: the European Heritage Days, EU Prize for Cultural Heritage, and European Heritage Label. EU policies in other areas also take increasing account of heritage, for example environmental impact assessment and state aid. In May 2014 EU Culture Ministers called for the "mainstreaming of cultural heritage in national and European policies", and "the development of a strategic approach to cultural heritage". Responding to this call, in July 2014 the European Commission adopted a Communication: "Towards an integrated approach to cultural heritage for Europe". See also the accompanying press release. For details of opportunities under these programmes and more, see the mapping report . Policy collaboration on cultural heritage among EU Member States continues to be pursued through the Council of Ministers for Education, Youth, Culture & Sport, and through the Open Method of Coordination . This builds on important policy work on cultural heritage done by the Belgian, Lithuanian, Greek and Italian Presidencies of the European Union.